Well…as much as I’ve always dreaded it and hoped it wouldn’t happen, I am a table saw accident statistic. 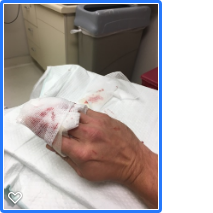 A few weeks ago I managed to make some careless mistakes while operating my table saw that lead to my hand making contact with the blade. 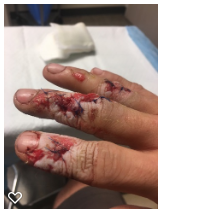 I am extremely lucky and am fortunate that I didn’t lose any fingers; however my fingers did get chewed up pretty badly leading to a bunch of stitches across 3 fingers on my right hand and I’m going to be out of commission for at least a month or more. I had ordered a SawStop Table Saw 3 Days before the accident happened and was waiting for the shipment to arrive. Talk about timing! Anyway, it might sound odd to take table saw safety advice from someone who has had an accident with a table saw, but I can assure you that I have been around this tool for close to 20 years and have always had a fearful respect for the table saw and I never considered myself someone who didn’t operate the saw safely so if it can happen to me, it can happen to anyone. My goal with this video is to show you exactly what happened in my accident, how & why it happened, how I could’ve avoided it and hopefully give you a few tips on how you can avoid a similar situation. Check out the video to see exactly what happened. WARNING: I AM INCLUDING SOME GRAPHIC IMAGES OF MY ACCIDENT BELOW. IF YOU DO NOT WISH TO SEE THE DAMAGE CAUSED BY THE ACCIDENT, PLEASE DO NOT CONTINUE READING AND INSTEAD JUST WATCH THE VIDEO ABOVE THAT OUTLINES HOW AND WHY THE ACCIDENT OCCURRED. 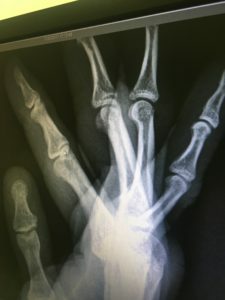 Again, I was extremely lucky that the damage was not worse, and many people who have had table saw accidents have lost fingers or done even more significant damage so I feel very fortunate. So here’s what happened in my accident. 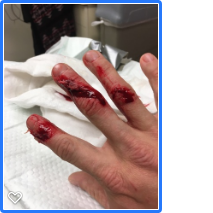 I was ripping a drawer front down to it’s final size to install in my custom vanity build and the piece got behind the blade resulting in the piece getting kicked back at me, striking me in my side and my hand being sent into the blade. I’m not sure if my hand went into the blade as a reaction to being hit with the piece or if the kickback of the piece itself sent my hand into the blade, but I made 3 critical mistakes that led to the accident and here is the result of the accident. but after I mentioned I couldn’t bend the finger they found I had a small fracture in the knuckle on the ring finger. Initial signs were good as far as tendon damage and I had movement and feeling in my fingers. 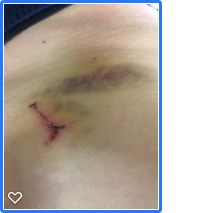 I also had significant bruising on my side from the impact. The ER Doctor gave me 13 stitches across the 3 fingers (3 in the ring finger, 8 in the middle, and 2 in the index). 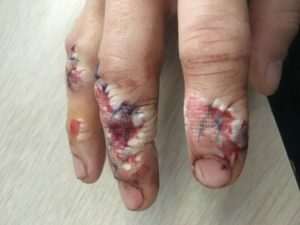 Some areas were unable to be stitched because the skin around it was too macerated to stitch so they said that would need to heal subdermally. They gave me a clam shell splint to wear over the stitched fingers that I wore for a little over a week before the stitches were removed. So as I keep saying, I was SUPER LUCKY! I feel so fortunate that I didn’t lose the fingers. I don’t know what my life would be like moving forward if that happened and I hate to think about that possibility. I never wanted to make a video like this but now that it’s happened to me, I sincerely hope it never happens to anyone else. Here are a few tips I suggest to try an avoid an accident. 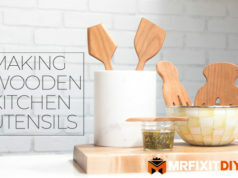 In addition to these tips, Woodcraft has an extensive list of safety tips which you can check out here. At the end of the day, it comes down to developing good saw habits and never letting them slip! 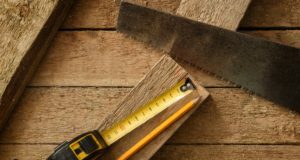 Always respect the tool and make sure your mind is focused on the task at hand while working with the saw. 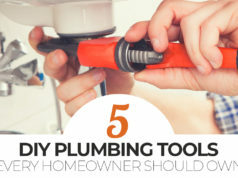 It’s too dangerous a tool to not give it your complete attention anytime you’re using it. 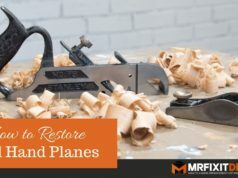 If you can afford a SawStop (I know how hard it is to save for one, trust me!) I’d suggest you purchase one. Hopefully someday in the near future every manufacturer will be forced to include a similar technology but until that time, SawStop is the best option. 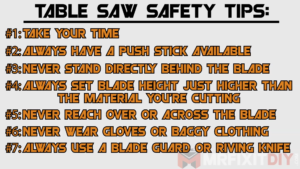 I hope this post and video are helpful to you in some way and at least get you thinking about the possibility of trying to improve your saw habits so that this type of accident never happens to you! Thank you guys so much for checking it out and for the outpouring of support across social media. It means a lot to me and I really appreciate it. 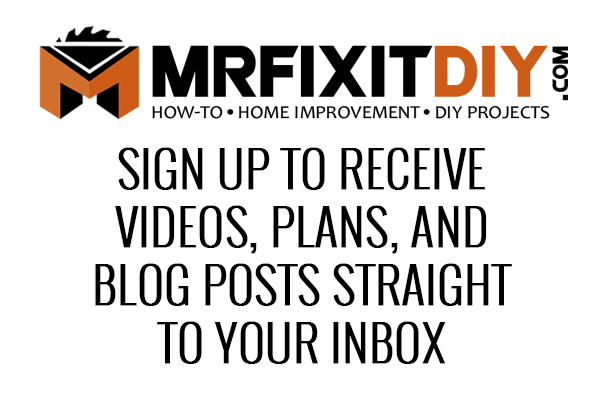 Sign up to get the latest content by email. 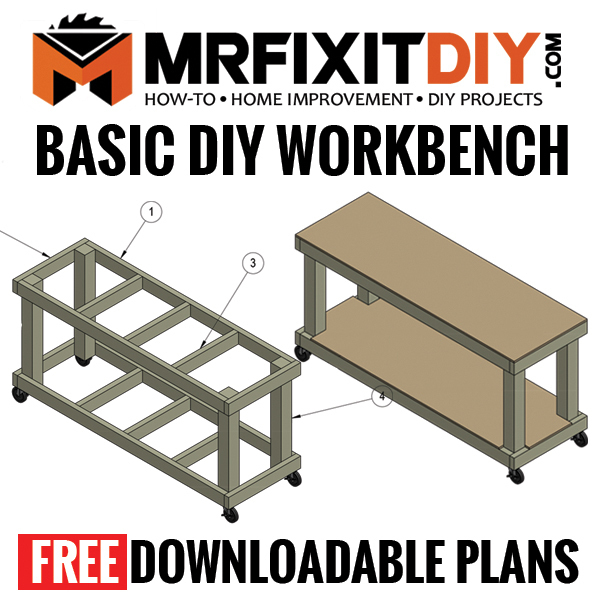 Sign Up to Receive this FREE 4 page, step-by-step set of plans to make your own DIY workbench.